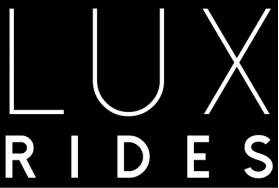 Lux Rides ("Company") is not liable in the event of mechanical breakdown while on charter and will only be responsible for making up lost time at a mutually agreed date. Alcohol consumption may be allowed and is at the drivers discretion. Drug use is prohibited by law. Any drug use is grounds for termination and may result in criminal prosecution in accordance with the laws of the State of Arizona. All fines will be paid for by the customer. The driver has the right to terminate without refund (if there is blatant indiscretion on the part of the client(s)). Smoking is not permitted. Use of e-cigarettes is at driver discretion. The company is not responsible for delays or termination caused by inclement weather, flooding, or unsafe road conditions (ie. accidents). Company is not responsible for late arrivals or missed transportation as a result of the scheduled vehicle becoming involved in an accident. In the event that a scheduled vehicle is involved in an accident Company will make every effort to find a suitable replacement. Company is not responsible for articles left in the vehicle. Balances are to be paid to the driver on the run date before the beginning of the run, unless a valid payment method is on file with the company or alternate arrangements have been made. Company reserves the right to charge additional fees, in accordance with current rates, in the event that a reservation exceeds the timeframe quoted (for hourly transport) or estimated mileage. Company will attempt to accommodate any requests for changes in itinerary, however, changes in itinerary cannot be guaranteed. Approved changes to itinerary will be billed at the current rates. Reservations cancelled within 8 hours will be charged the full amount quoted. Reservations cancelled greater than 24 hours prior to scheduled trips will incur no fees. In the event of client no show, client will be charged for quoted trip amount.